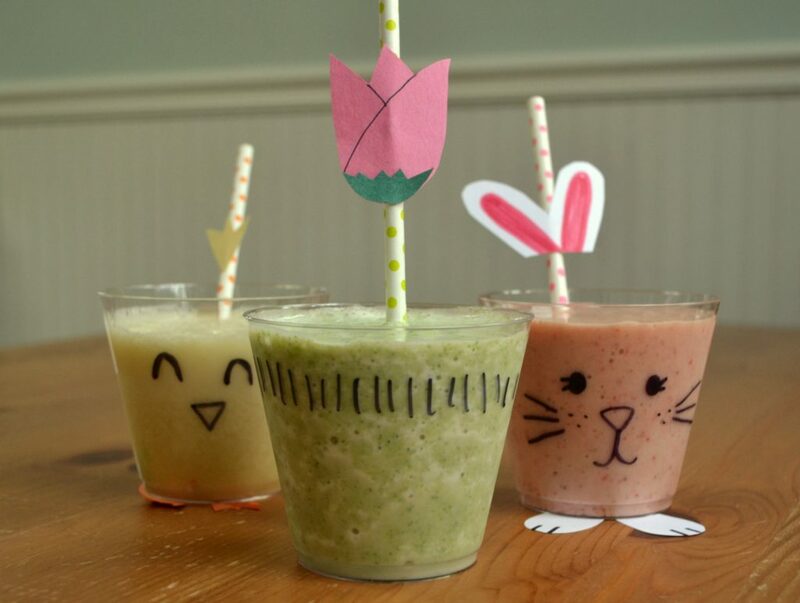 Simple, fun spring smoothies are an easy way to add some fun to spring snacks! Simply decorate a disposible, clear cup and a fun straw – your kids will have so much fun with the design, they’ll never realize they’re enjoying a healthy snack! Spring has sprung, my friends! The snow is melting, birds are chirping, I’m venturing out of the house in less than 4 layers – life is good! 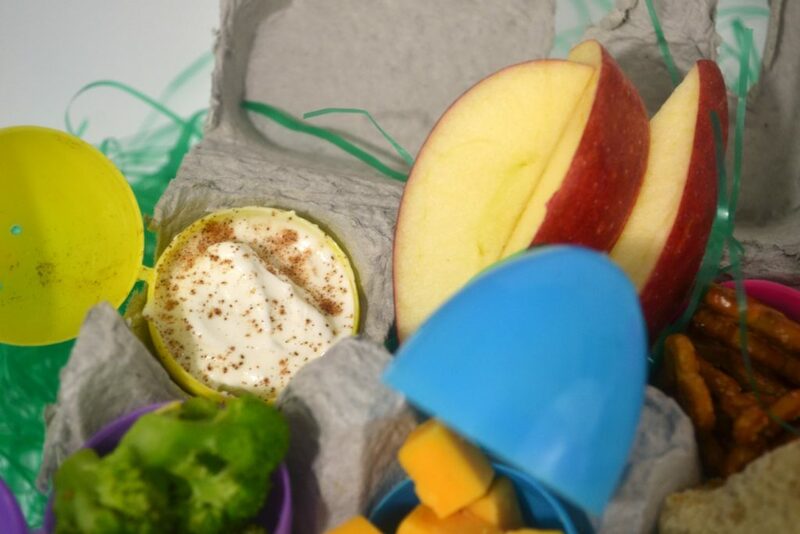 To celebrate, I’ve been trying to add some fun to the boys’ snacks (remember the Easter egg snack cartons from last week?) 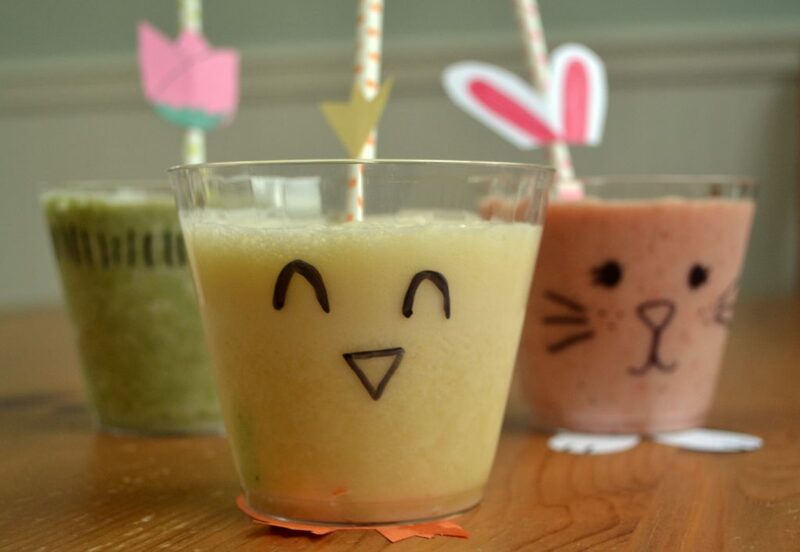 and meals which brings us to today’s post – Simple, Fun Spring Smoothies! Smoothies are a staple in our house – I almost always have stuff to make them, Ryan is obsessed with drinking them, and I love sneaking in extra nutrients into them because the kiddos never know the difference. 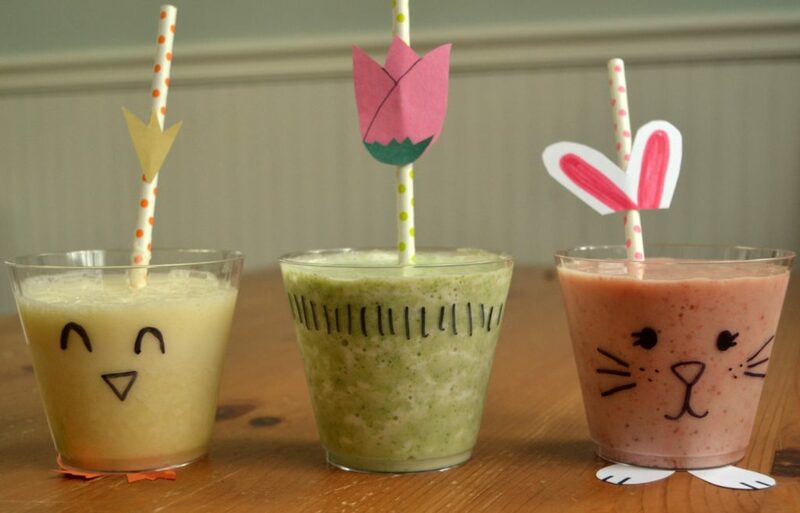 I decided it would be fun to add some spring and Easter fun to Ryan’s daily smoothie, so I pulled out a few of the disposable cups I’ve had since this post and got to work. These smoothies couldn’t be simpler – use your favorite smoothie recipe for each one (I added the ‘recipe’ for the smoothies I used in each one, though my smoothie ‘recipes’ tend to just be, “a handful of this, a glug of that”) and add to cups that are decorated. Add some funky paper straws and you’re good to go! PS if you have a toddler who hasn;t quite figured out the whole “don’t tip an open cup” thing, line the top with press and seal wrap before adding the straw or use one of these funky contraptions that you can use on literally any cup. I obviously did neither of those, which wasn’t my best choice. Trace the bottom of your cup on white paper before adding 2 half ovals and cutting the shape out. Draw a few lines on each ‘foot’ to create ‘toes’. Draw a heart on the white paper and cut out, snipping the base of the heart. Color the middle of your ‘ears’ pink or red. Next, take a permanent marker and draw a bunny face on a clear, disposable cocktail cup. Feel free to use colored markers, but I found black stands out the best. 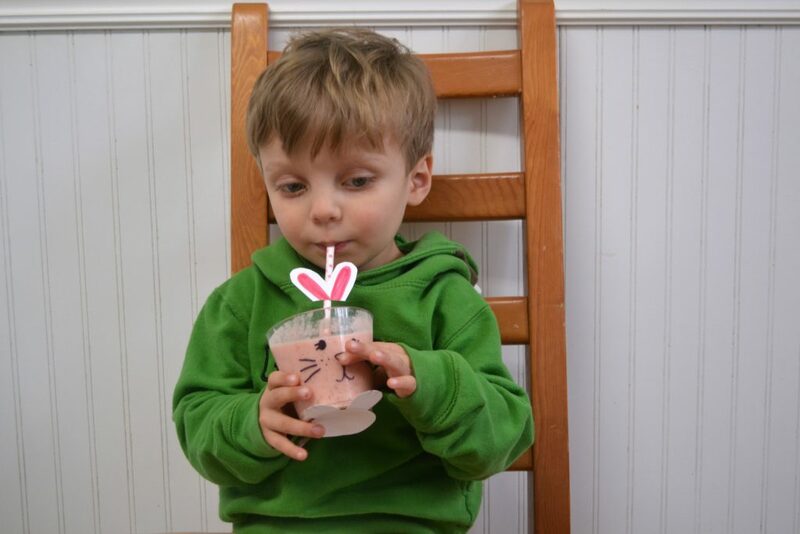 Tape or glue your bunny feet to the bottom of your cup and your ears to a paper straw. I highly recommend using craft glue dots to adhere your additions to keep it simple and mess free. Fill with a pink smoothie – I went with strawberry banana. 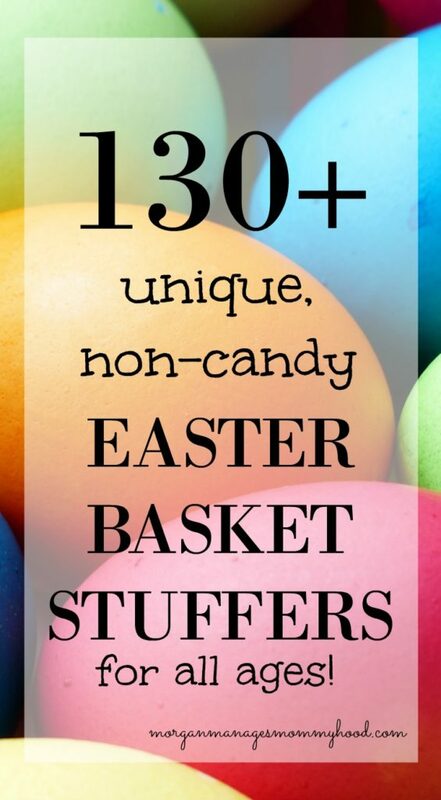 Add your ear straw and enjoy! Trace the bottom of your cup on orange paper before adding 2 chick feet on the edge of the circle and cutting the shape out. 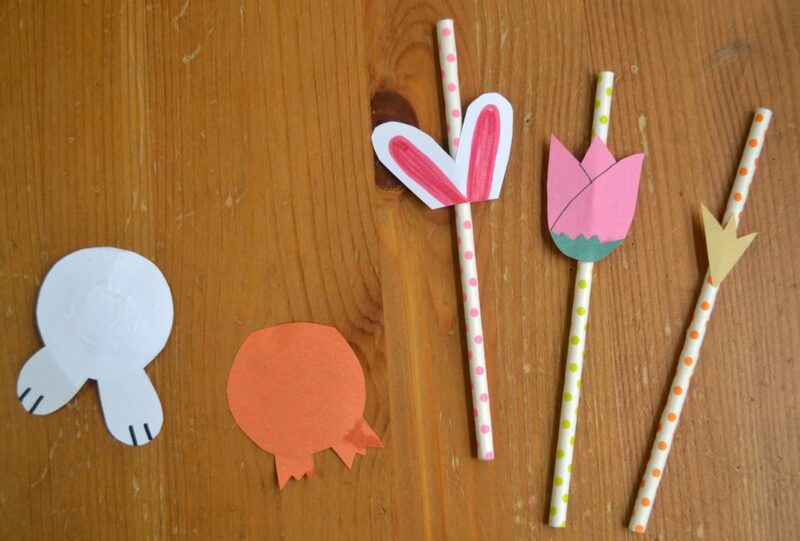 Cut out a triangular sprout of ‘fur’ and glue to your paper straw. Draw eyes and a triangle for a beak with a permanent marker on your cup. Fill with a yellow smoothie – I made an orange creamsicle one. 1 cup of OJ, 1 cup of milk, 1 frozen banana and a small dash of vanilla. If you prefer a thicker smoothie, OJ ice cubes help a lot! Cut a flower out of colored paper – I went with a pink tulip with a small green base, but a traditional petal flower would look cute as well! Draw simple lines to your cup to create ‘grass’. Fill with a green smoothie – Try adding something green to the above creamsicle smoothie! This one had frozen broccoli thrown in. You can’t taste it, but it thickens it and adds vitamins! And that’s it, friends – super simple, right? 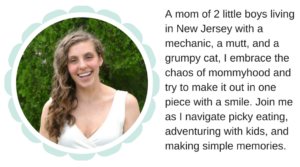 I hope you take a second to try them out for your own kiddos. If you do, make sure you take a shot and post it to social media and tag me (@morganmanages). I’d LVOE to see your creations! Okay so tell me – which one would you try? 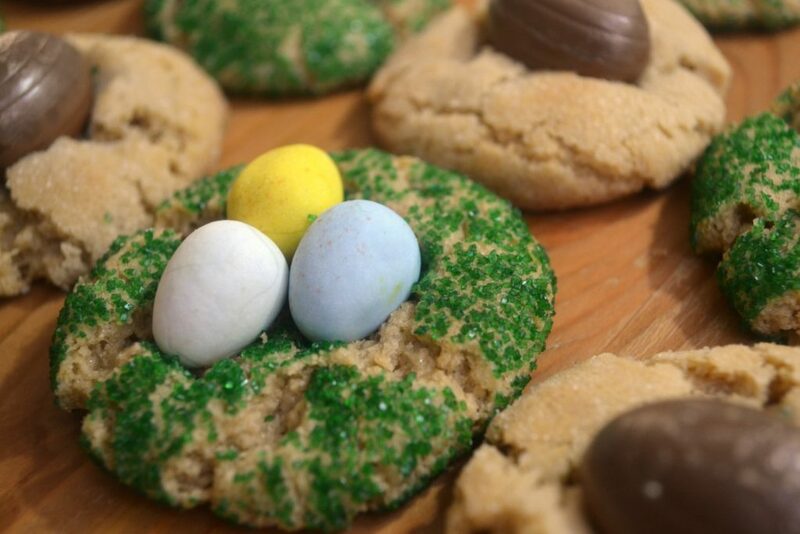 What are some ways that you create simple treats? Let me know in the comments! These are so cute!! I love the idea of cling wrap so they don’t spill! My niece does pretty good…until she forgets to focus and spills it haha! What a great idea!! I know my three year old will flip over the bunny cup! He loves holidays and gets so excited when I plan fun little things for him. Thanks for sharing! 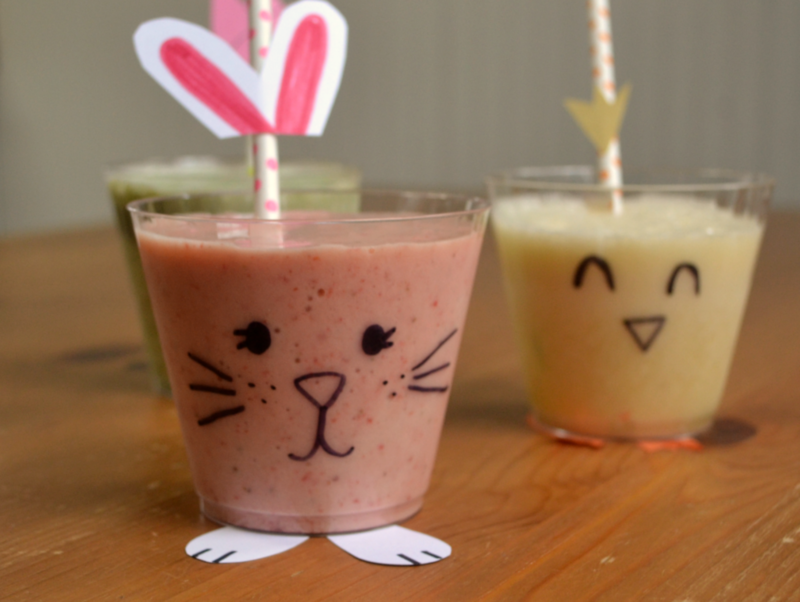 What a fun way to jazz up smoothies!! Love it!